Koei Tecmo has announced (via Siliconera) its financial global sales for the latest PS4 exclusive, Nioh. It seems like the game has done pretty well, as the sales for the game — both physical and digital, have surpassed 1 million. For a celebration of the milestone, Team Ninja has announced that they will be giving out a free outfit for all players. 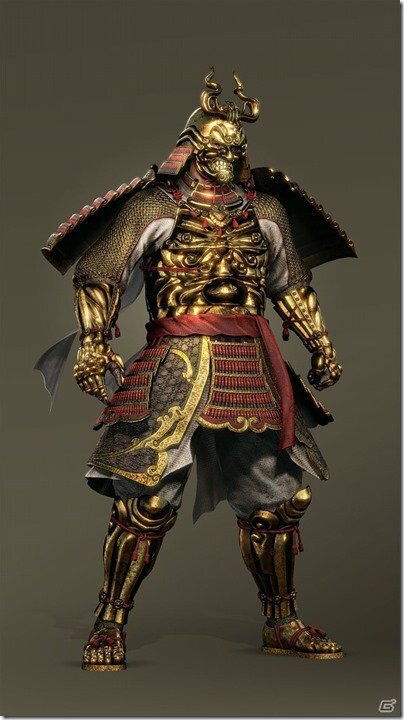 The suit, which can be seen down below, is called the Golden Nioh Armor and it will be available to wear on February 24, when updating 1.04 hits. • Players can verse each other in April with the second free update. • The first premium DLC pack, Dragon of The North, also arrives in April and includes new levels, gear, scenarios, characters, guardian spirits, and yokai. • Unfortunately, the next two premium expansions, Japan’s Best Warrior and Peaceful and Tranquil, were not detailed or given any sort of release window. Want to know more about Nioh? Watch Gameranx’ Before You Buy video to get a sense of what to expect from the new IP. Nioh is now available on PlayStation 4.